This one is easy, maybe. 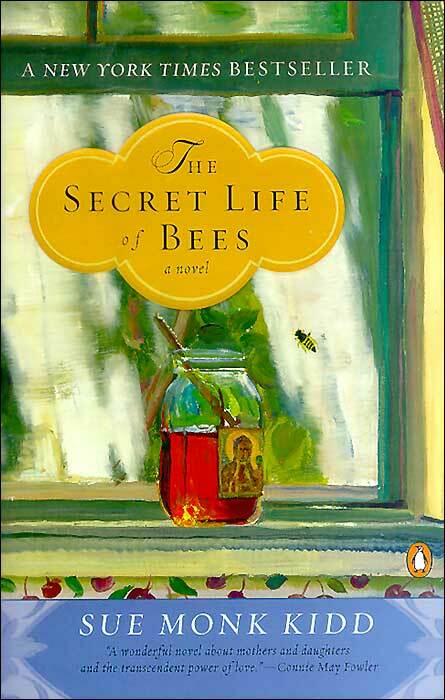 "Any good ideas for heart books, books that give hope but also have a great story to escape into... something ala Secret Life of Bees (by Sue Monk Kidd) or The Help (by Kathryn Stockett)?" a great story to escape into? Here is my "Book with a Heart" recommendation - "By the River Piedra I Sat Down and Wept" by Paulo Coelho. It was a gift to me and sat on my shelf for a couple of years before I read it this summer - much to my delight. It is the compelling story of a man who must choose between his love and his spiritual calling. . . and it is a tale full of hope. I'm looking forward to coming back and reading more recommendations! A recommendation of a friend who tends to recommend these sorts of books. Written by the girl herself, this family goes through the most unimaginable living conditions with accidental finesse, in my opinion. But honestly, I feel like every book gives hope. The perfect blessing of books! One other series I would recommend has the heart of innocense at its core: "Yotsuba&!" by Kiyochiko Azuma. It is a manga (Japanese graphic novel)about a young girl who finds every ordinary thing in our grown-up world facinating, in a way that's not sickeningly sweet. As many sarcastic and dystopian books I have, this series made me realize they don't all have to be void of heart. I was given this book by my 5th grade teacher who turned out to be my secret Kris Kringle. Elizabeth is a little girl who lives a very sheltered life with her elderly aunt and cousin. They fret and fuss over her constantly. If she sneezes she is put straight to bed. One day her aunt gets sick and Elizabeth is sent to the dreaded Putney cousins in the country, where she is now called Betsy. She gradually grows to love her Vermont cousins and finds herself. It is a wonderful story. Another heart warmer - The Prize Winner of Defiance Ohio, a memoir by Terry Ryan, one of 10 children who writes about her mother's strength and sunny outlook on life. While her father spends the family's money on drink, mom enters jingle contests and helps the family through some rough times. All of those books sound so good, I'm putting them on my to-read list! I have been escaping into several books by Tamora Pierce, also YA, b/c it works best to stay on one floor in the TC library with my little guy! They are fabulous stories of knights, princesses and spies! Another favorite escape is by George MacDonald, The Princess and Curdie. Not sure if they would all in the exact same category as the bees, but are good reads anyway! What a delightful read, and for we northern Michiganders, the setting is familiar territory (it is set in Leelanau County & in particular, Sutton's Bay). With a number of very strong and intelligent females leading the story, you won't be disappointed. Looking at the notion of 'mid-life crises' from a variety of typical and atypical perspectives, there is all sorts of mentor/mentee interaction. Lessons are taught by all sides, learned both fast and slow, and a true notion that in healing, the process is both unending and ever-so-subtle, sometimes. A BIG Lovely Juicy List from Wake County Library! With great descriptions! Grab your pen, you'll want to write a few down!! My friend The Thinker gave this heartfelt, funny, book to me for my birthday and I cannot stop raving about its quality and fun! I just love it!